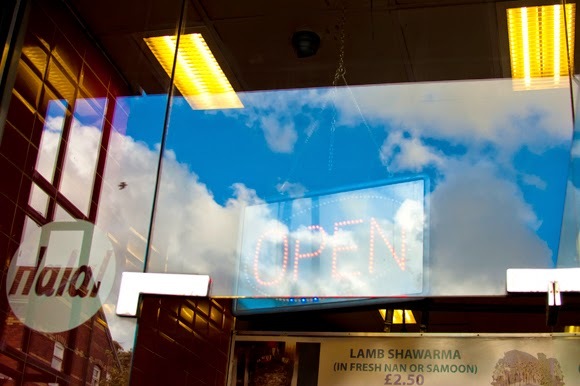 Bacon on the beech: The Secret Kebab House. I've no idea why it's called the 'Secret Kebab House' or when the secret began. I think it may have been Beau from Almost Famous that started it. * It's a bit of an open secret and not one at all if you know Rusholme quite well. It's a tiny place though, easy to miss even if you're looking out for it. I had to ask somebody. 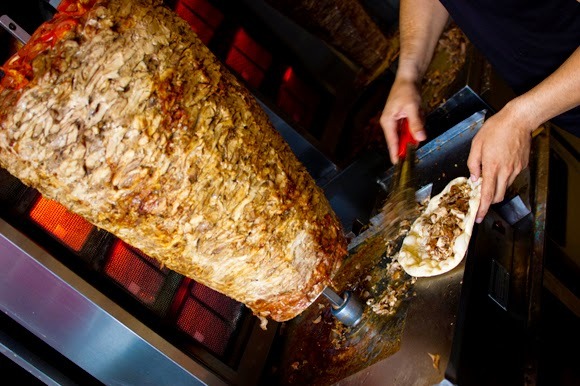 There are two giant meat spits, the shawarma. You can choose lamb or chicken, naturally I chose both with all the toppings. They're just £2.50 each. (The best £5 I've spent all year, I bloody loved them). It's all freshly prepared for you including the tandoori naan bread which is excellent. I'm not going to be the first to tell the secret of the Secret Kebab House, but if you look hard enough you will find it. It's a secret worth knowing, just don't tell anyone else. After all, everyone loves a secret. * It was actually twitter maestro Ian Deveney that actually 'discovered' this place. "If you go around the corner onto ****** St you'll find an arguably better shawarma place - ****** restaurant. 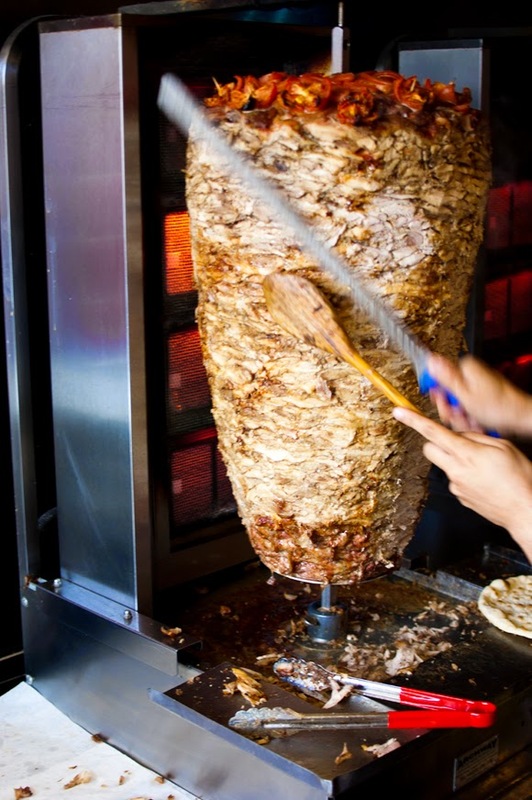 I'd take a Today shawarma over an **** one every time. They also have a bigger and better selection of salads and sauces. 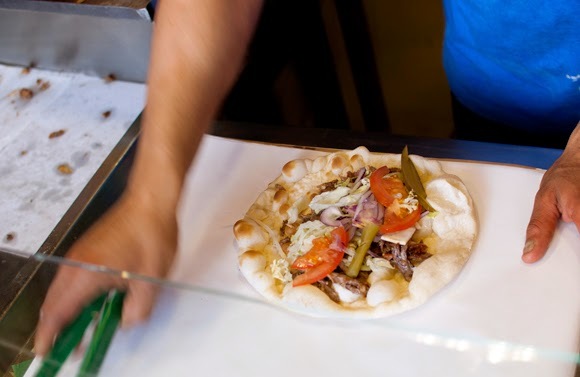 Their menu is more extensive and includes delights such as fatayer (Arab pizza), their prices are the same for a shawarma wrap. 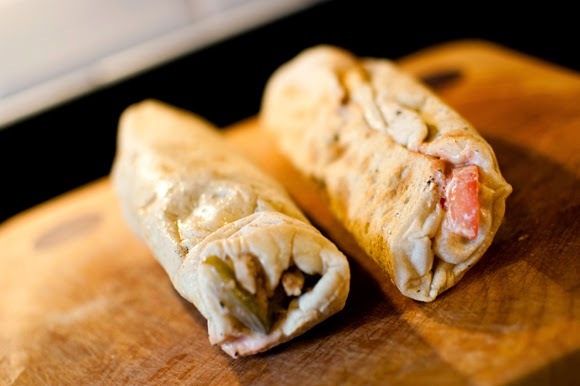 I recommend a shawarma in samoon bread, it's like a big pizza-ery pita and soaks up all the lovely juices." Apologies Simon, I've edited your comment, but very interesting, I shall try that one out as well cheers! Bacon, I truly enjoy your writing but this has really annoyed me. Why does this place have to be kept a secret? Just because Beau says so? What age are you both for goodness' sake? I understand that wannabe agenda-setters enjoy patting themselves on the back because they are more ahead of the curve than the rest of us, but you you really have to follow suit? The fact that you have edited Simon Cohen's potentially useful comments, to be barely any use at all, has just pissed me off even more. ***** takeaway is a "secret" now is it? very exciting."